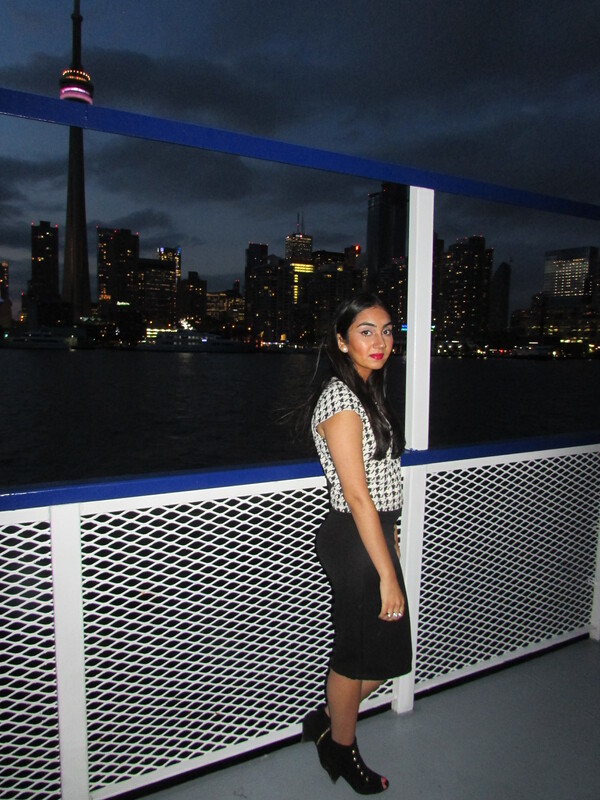 Nothing says summer in Toronto like a boat cruise down Harbour front. It’s almost the end of longer days, late nights and evenings of warm breeze. 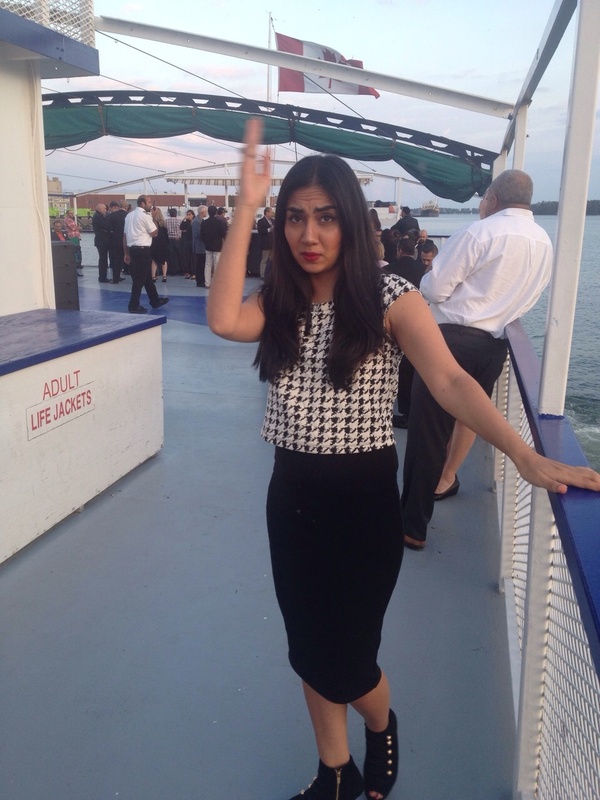 I got invited to a business appreciation boat cruise last night for an end of the summer hoorah! So why not enjoy the last few days of summer, get dolled up and party on a Tuesday night! I have always been one to steer away from skirts so this is a definite change for me. I like this midi skirt style because it is a classic piece that I can wear for seasons on, hugs my body perfectly and is just under my ugly knees, so I am happy to cover that up. My cute booties are from Vince Camuto. I wanted to keep colour on a minimal, so I stuck with a black shoe plus its a small heel (2 inches) which is a little more convenient and comfortable on a boat. 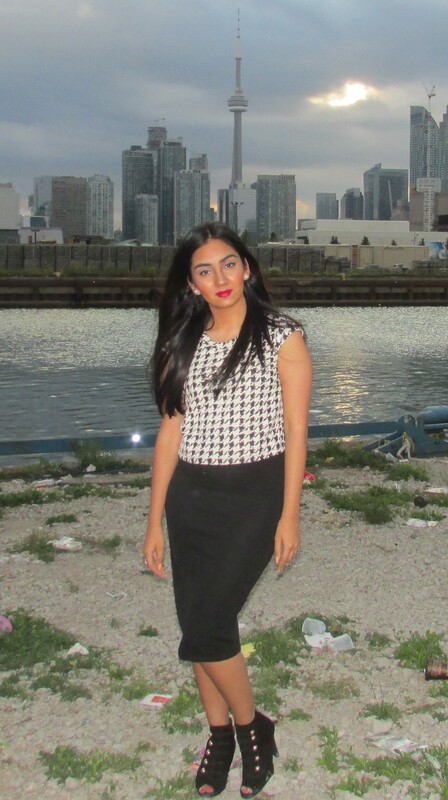 I paired it with a houndstooth crop top (a print I have never worn) but another print that is a classic. This entire outfit is a little different then my normal style but what better time to try something new. 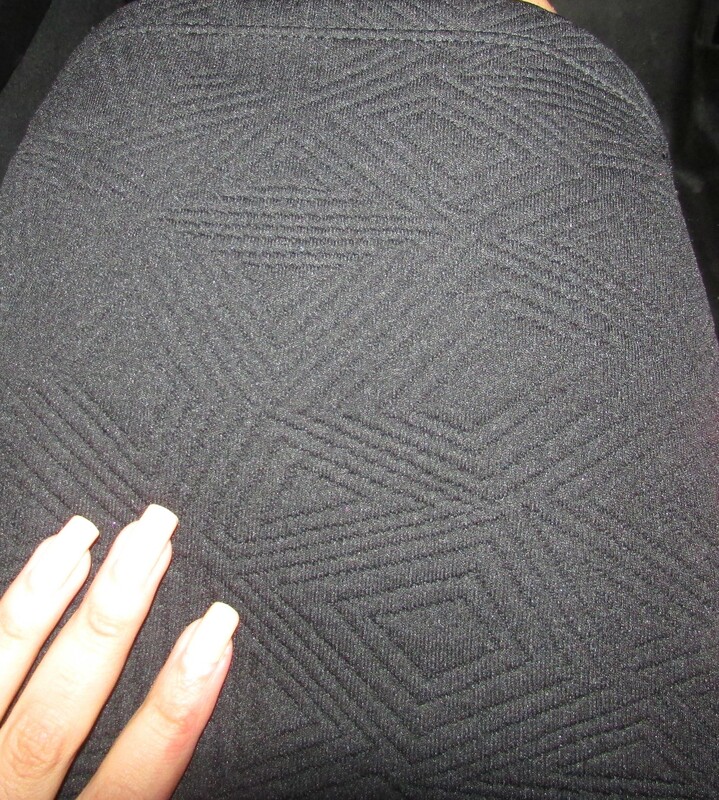 I will definitely transition this skirt into fall, and pair it with a long sleeves or a sweater. I wasn’t actually carrying this purse but it was so cute I had to try it out!If you wanted to add a pop of colour to your black and white outfit, a bright coloured purse is the best way. 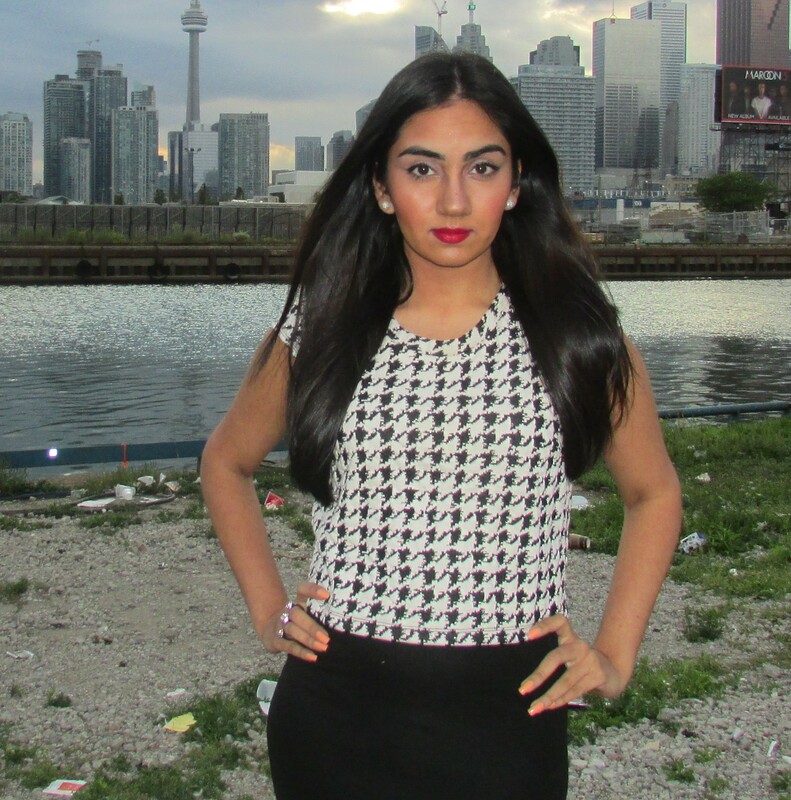 It was a great night filled with delicious dinner, dancing, karaoke and one too many pictures with the CN Tower. I can’t think of a better way to send off summer in Toronto! What do you think of this black and white ensemble? PS who said bloopers are only for videos.